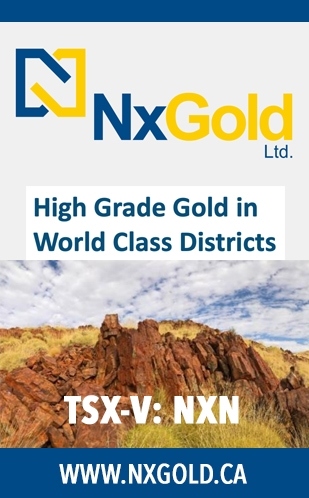 TORONTO , Feb. 26, 2019 /CNW/ – Anaconda Mining Inc. (“Anaconda” or the “Company”) – (ANX.TO) (ANXGF) is pleased to provide an update on the development activities at its 100%-owned Goldboro Gold Project (“Goldboro” or the “Project”) in Nova Scotia, Canada . Since publishing the Goldboro preliminary economic assessment (the “PEA”) dated March 2, 2018 and updated on October 25, 2018 , Anaconda has been executing a 10,000-tonne underground bulk sample (the “Bulk Sample”), advancing its evaluation of Goldboro to the feasibility study stage and permitting the Project. At the end of January 2019 , Anaconda completed the mining phase of the Bulk Sample and the underground mining contractor, Cementation Canada Inc., has demobilized from site. Access to the mine has been secured and site closure activities for the Bulk Sample are scheduled to be completed in the spring. The tonnes extracted for the Bulk Sample came from a combination of development and stoping. A long hole mining method was used to mine three stopes, ranging from one to four metres wide, within belts 1 and 2 of the Boston – Richardson gold system. 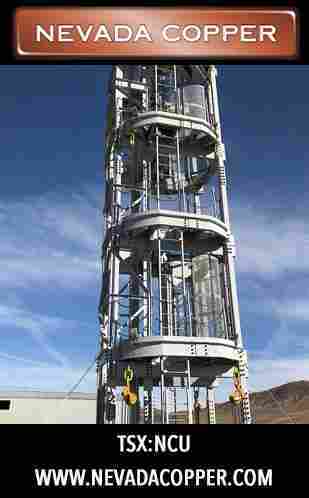 The stopes tested the use of up-holes and down-holes as well as conventional raising and drop raising. Sill drifts and most of the stope access development was done within mineralized zones of the belts to minimize the amount of waste rock extracted. The Company intends to barge the material to Point Rousse, Newfoundland , in the second quarter of 2019, once transport conditions are favorable, where the material will be processed at Anaconda’s Pine Cove Mill. The Company will report full Bulk Sample results shortly thereafter. In February 2019 , Anaconda commenced a feasibility study of the Project (the “Study”), which will incorporate the data from the Bulk Sample and include the results of the first 22,000 metres of diamond drilling that was completed from June 2017 to December 2018 . The Company also expects to generate a new mineral resource estimate as part of the Study, which is expected to be completed in Q3 2019. The Company has retained WSP Canada Inc. (“WSP”) to lead the Study and work on the mine design, project infrastructure, and economics. Ausenco Solutions Canada Inc. (“Ausenco”) has also been engaged to support WSP with respect to process optimization and mill design for the Study (Ausenco was involved in the engineering and construction of Atlantic Gold Corporation’s mill at the Moose River Consolidated Project in Nova Scotia ). The Study will also incorporate additional metallurgical testing, performed by Base Metallurgical Laboratories Ltd, based in Kamloops, British Columbia , using samples taken from the Boston – Richardson and East Goldbrook gold systems during the Bulk Sample extraction and recent diamond drilling. The Study is expected to be completed and filed in Q4 2019. Following the update of the Goldboro Mineral Resource Estimate published in December 2018 , Anaconda initiated certain trade-off studies to determine the optimal mining and milling scenarios for the Study. Given the predominately narrow vein, high-grade nature of the deposit, Anaconda has determined the optimal approach for the Project to be based on the use of selective mining methods at a processing throughput rate of approximately 575 tonnes per day. This confirms the initial mine development and operation scenario contemplated in the PEA, where the Project begins open pit mining for two to three years before transitioning to an underground mining operation for the remaining mine life. Furthermore, due to the growth of the Mineral Resource Estimate at Goldboro demonstrated from its recent drill programs, and the Company’s confidence in its ability to continue to substantially expand the deposit, Anaconda has optimized its processing strategy for the Study, which will now contemplate a full-scale milling facility at Goldboro that will produce a doré bar. This is different than the processing scenario in the PEA, which was based on shipping concentrate to its Pine Cove Mill in Newfoundland . Anaconda also evaluated two options for ore processing and processing plant construction: the use of a gravity circuit, followed by concentration of the gravity tails by flotation and gold recovery via leaching; and gravity concentration followed by whole ore leaching. Both options assume a full-scale processing facility at Goldboro , producing a doré bar from gravity and leach concentrates. Anaconda ultimately concluded the preferred scenario to be gravity concentration followed by whole ore leaching, which will be evaluated further as part of the Study. Since February of 2018, Anaconda has been working through the permitting process in the Province of Nova Scotia , and has engaged the assistance of GHD Limited (“GHD”), who had worked with Atlantic Gold Corporation during its permitting of the Moose River Consolidated Project. In August 2018 , the Company submitted its Environmental Assessment application and is currently compiling further information required by the various regulators in the Terms of the Reference (“TOR”) issued on October 15, 2018 . 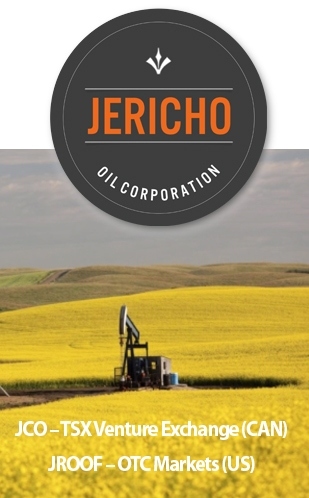 In addition, the Company has submitted the application for the Crownland Lease and is advancing the applications for a Mineral Lease and Industrial Approval. Based on progress to date and continued communication with relevant government departments and regulators, Anaconda expects to secure all permits by the end of Q1 2020, with the aim of beginning site construction in mid-2020 with commercial production to follow in mid-2021. A version of this press release will be available in French on Anaconda’s website (www.anacondamining.com) in two to three business days. Anaconda Mining is a TSX and OTCQX-listed gold mining, development, and exploration company, focused in the prospective Atlantic Canadian jurisdictions of Newfoundland and Nova Scotia . The Company operates the Point Rousse Project located in the Baie Verte Mining District in Newfoundland , comprised of the Stog’er Tight Mine, the Pine Cove open pit mine, the Argyle Mineral Resource, the fully-permitted Pine Cove Mill and tailings facility, and approximately 9,150 hectares of prospective gold-bearing property. Anaconda is also developing the Goldboro Gold Project in Nova Scotia , a high-grade Mineral Resource, subject to a 2018 a preliminary economic assessment which demonstrates strong project economics. 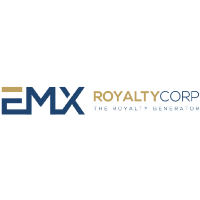 The Company also has a wholly owned exploration company that is solely focused on early stage exploration in Newfoundland and New Brunswick . GOLDBORO PROJECT MINERAL RESOURCE UPDATE AND PRELIMINARY ECONOMIC ANALYSIS for Anaconda Mining Inc., dated October 25, 2018 , and authored by independent qualified persons Todd McCracken , P.Geo., Shane Ghouralal , MBA, P.Eng., and Sebastian Bertelegni , P.Eng., all of WSP Canada Inc., J. Dean Thibault , P.Eng., of Thibault & Associates Inc., and non-independent qualified person Gordana Slepcev, P.Eng., of Anaconda. This news release contains “forward-looking information” within the meaning of applicable Canadian and United States securities legislation. Generally, forward-looking information can be identified by the use of forward-looking terminology such as “plans”, “expects”, or “does not expect”, “is expected”, “budget”, “scheduled”, “estimates”, “forecasts”, “intends”, “anticipates”, or “does not anticipate”, or “believes” or variations of such words and phrases or state that certain actions, events or results “may”, “could”, “would”, “might”, or “will be taken”, “occur”, or “be achieved”. Forward-looking information is based on the opinions and estimates of management at the date the information is made, and is based on a number of assumptions and is subject to known and unknown risks, uncertainties and other factors that may cause the actual results, level of activity, performance or achievements of Anaconda to be materially different from those expressed or implied by such forward-looking information, including risks associated with the exploration, development and mining such as economic factors as they effect exploration, future commodity prices, changes in foreign exchange and interest rates, actual results of current production, development and exploration activities, government regulation, political or economic developments, environmental risks, permitting timelines, capital expenditures, operating or technical difficulties in connection with development activities, employee relations, the speculative nature of gold exploration and development, including the risks of diminishing quantities of grades of resources, contests over title to properties, and changes in project parameters as plans continue to be refined as well as those risk factors discussed in the annual information form for the fiscal year ended December 31, 2017 , available on www.sedar.com. Although Anaconda has attempted to identify important factors that could cause actual results to differ materially from those contained in forward-looking information, there may be other factors that cause results not to be as anticipated, estimated or intended. There can be no assurance that such information will prove to be accurate, as actual results and future events could differ materially from those anticipated in such information. Accordingly, readers should not place undue reliance on forward-looking information. Anaconda does not undertake to update any forward-looking information, except in accordance with applicable securities laws. This entry was posted in Junior Mining on February 26, 2019 by admin. 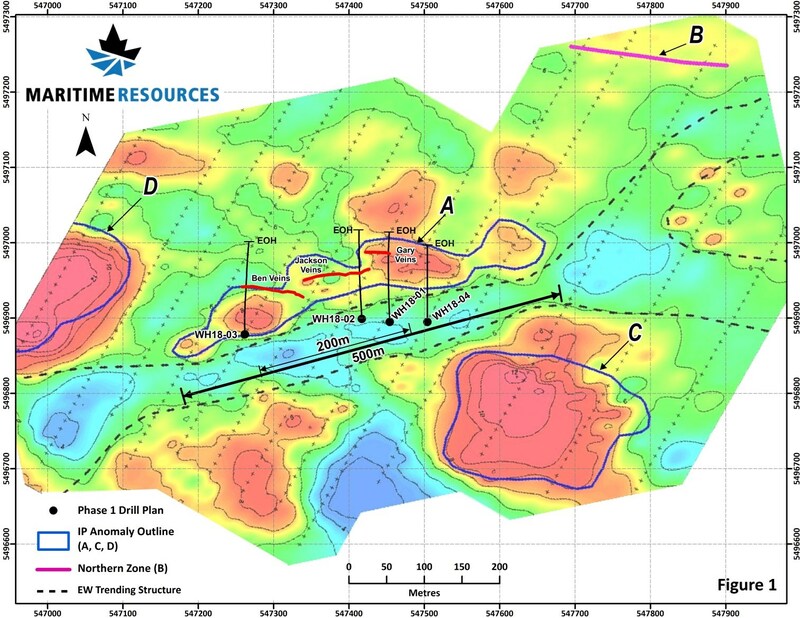 Toronto, Ontario–(Newsfile Corp. – February 25, 2019) – Maritime Resources Corp. (TSXV: MAE) (“Maritime” or the “Company”) is pleased to provide an update on its recent exploration program at the Whisker Valley gold project, a new exploration target located 10 kilometres north of the Company’s high-grade Hammerdown gold project in the Baie Verte Mining District, Newfoundland & Labrador. Maritime’s initial 650m diamond drill program at Whisker Valley consisted of 4 wide-spaced holes completed in late 2018. The holes targeted a series of high-grade gold, sulphide-bearing quartz veins (Gary, Ben and Jackson) that were trenched and sampled over a 250 metre strike length (see press release dated January 22nd, 2018). Mineralization at Whisker Valley consists of a series of narrow high-grade sulfide-bearing quartz veins dipping between 60-70 degrees that occur along the contacts of a series of east-west trending mafic and felsic dykes intruding the host Burlington granodiorite. Alteration zones characterized by moderate to strong hematization, sericitization and chloritization form a 2-3m wide envelope around the mineralized quartz veins. Re-healed brecciated zones proximal to the veins are indicative of a brittle structural environment. Localized fault offsets of the veins have been identified in the Ben, Jackson and Gary trenches. The gold-bearing quartz veins at Whisker Valley are epigenetic and of similar style and orientation to that seen at Hammerdown. Maritime is currently evaluating the historical exploration work to help inform the next phase of work at Whisker Valley. In early 2018, a detailed Induced Polarization (IP) survey was completed by Maritime, which recognized the sulphide-bearing gold veins (see press release dated September 26, 2018). This survey extended the potential strike length of the vein system from the 250 m length exposed in the trenches to about 500 metres. The IP anomalies associated with the veins remain strong at the 50 m depth, the vertical limit of detection for this survey. The drill hole traces are shown on the IP Anomaly map (Figure 1. ), indicating the position of the three known vein systems at Whisker, shown as red lineaments in IP Anomaly “A”. The drill holes are also plotted on the Whisker Valley Trench map (Figure 2) and the major intersections are shown, along with some of the 2017 trench channel sample results (see press release dated February 13th, 2018). Each diamond drill hole encountered a number of gold bearing veins with higher grade assay intervals detailed in Table 1 below. 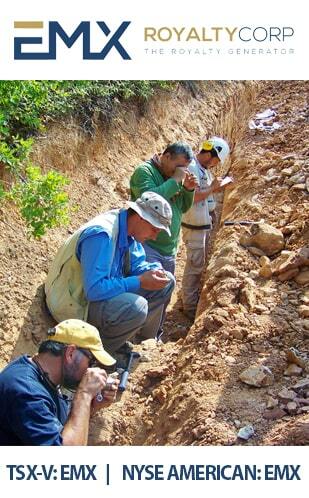 Significantly, drilling on each of the Jackson, Ben and Gary veins encountered high-grade gold zones. This included 15.2 gpt over 0.29 m in the Jackson vein (WH-18-02), 16.0 gpt over 0.97 m in the Ben vein which included a higher-grade interval of 36.6 gpt over 0.40 m (WH-18-03). 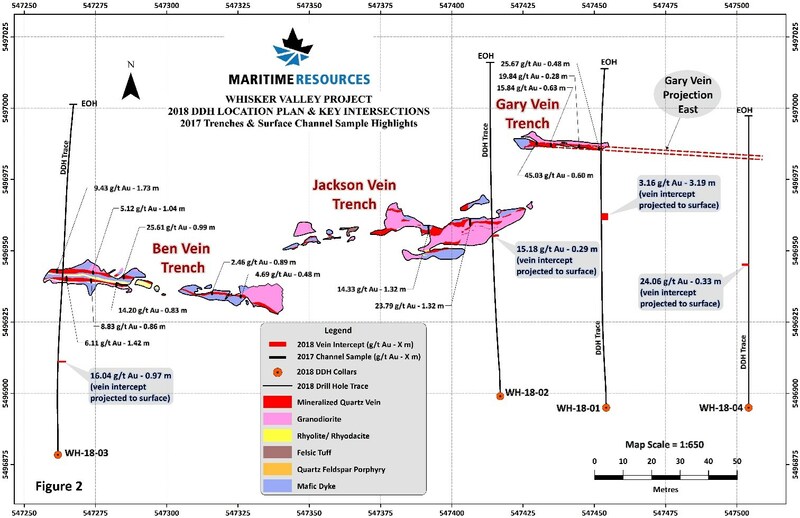 Drilling on the Gary vein identified a high-grade interval of 24.1 gpt over 0.33 m (WH-18-04) and a separate, thicker interval grading 3.2 gpt over 3.19 m (WH-18-01) indicating that wider gold zones are also present at Whisker Valley. This first phase of diamond drilling at Whisker has returned highly encouraging results and was successful in identifying high-grade gold mineralization to vertical depths of between 50 to 100 metres. Additional drilling at Whisker will target the full extent of the 500 meter long IP Anomaly “A” and test other portions of the vein system. Some drill testing of IP Anomalies “B, C & D” is intended where gold soil geochemical anomalies are coincident. Maritime is currently evaluating these results and is planning for a follow up drill program in the Spring of 2019. All samples assayed and pertaining to this press release were completed by Eastern Analytical Limited (“EAL”) located at Springdale, Newfoundland and Labrador. EAL is an ISO 17025:2005 accredited laboratory for a defined scope of procedures. EAL bears no relationship to Maritime Resources. Samples are delivered in sealed plastic bags to EAL by Maritime field crews where they are dried, crushed, and pulped. Samples are crushed to approximately 80% passing a minus 10 mesh and split using a riffle splitter to approximately 250 grams. A ring mill is used to pulverize the sample split to 95% passing a minus 150 mesh. Sample rejects are securely stored at the EAL site for future reference. A 30-gram representative sample is selected for analysis from the 250 grams after which EAL applies a fire assay fusion followed by acid digestion and analysis by atomic absorption for gold analysis. Other metals were analyzed by applying an acid digestion and 34 element ICP analysis finish. EAL runs a comprehensive QA/QC program of standards, duplicates and blanks within each sample stream. Exploration activities are administered on site by the Company’s Manager of Exploration, Larry Pilgrim, P.Geo. In accordance with National Instrument 43-101 Standards of Disclosure for Mineral Projects, Bernard. H. Kahlert, P.Eng. Vice President Exploration, is the Qualified Person for the Company and has prepared, validated and approved the technical and scientific content of this news release. The TSX Venture Exchange does not accept responsibility for the adequacy or accuracy of this release. Statements in this press release, other than purely historical information, including statements relating to the Company’s future plans and objectives or expected results, may include forward-looking statements. Forward-looking statements are based on numerous assumptions and are subject to all of the risks and uncertainties inherent in resource exploration and development. As a result, actual results may vary materially from those described in the forward-looking statements. Certain information included in this press release, including information relating to future financial or operating performance and other statements that express the expectations of management or estimates of future performance constitute “forward-looking statements”. 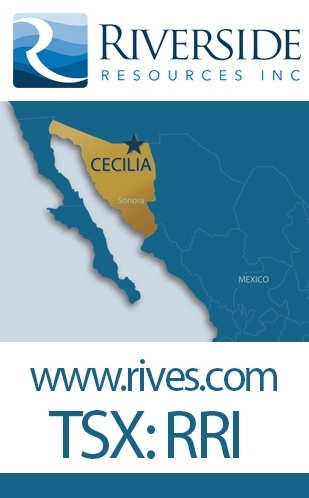 Such forward-looking statements include, without limitation, statements regarding copper, gold and silver forecasts, the financial strength of the Company, estimates regarding timing of future development and production and statements concerning possible expansion opportunities for the Company. Where the Company expresses or implies an expectation or belief as to future events or results, such expectation or belief are based on assumptions made in good faith and believed to have a reasonable basis. Such assumptions include, without limitation, the price of and anticipated costs of recovery of, copper concentrate, gold and silver, the presence of and continuity of such minerals at modeled grades and values, the capacities of various machinery and equipment, the availability of personnel, machinery and equipment at estimated prices, mineral recovery rates, and others. However, forward-looking statements are subject to risks, uncertainties and other factors, which could cause actual results to differ materially from future results expressed, projected or implied by such forward-looking statements. Such risks include, but are not limited to, interpretation and implications of drilling and geophysical results; uncertainty as to whether mineral resources will ever be converted into mineral reserves once economic considerations are applied, uncertainty as to whether inferred mineral resources will be converted to the measured and indicated categories through further drilling, or into mineral reserves, once economic considerations are applied, estimates regarding timing of future capital expenditures and costs towards profitable commercial operations, estimates regarding timing of future capital expenditures and costs towards profitable commercial operations. Other factors that could cause actual results, developments or events to differ materially from those anticipated include, among others, increases/decreases in production; volatility in metals prices and demand; currency fluctuations; cash operating margins; cash operating cost per pound sold; costs per ton of ore; variances in ore grade or recovery rates from those assumed in mining plans; reserves and/or resources; the ability to successfully integrate acquired assets; operational risks inherent in mining or development activities and legislative factors relating to prices, taxes, royalties, land use, title and permits, importing and exporting of minerals and environmental protection. Accordingly, undue reliance should not be placed on forward-looking statements and the forward- looking statements contained in this press release are expressly qualified in their entirety by this cautionary statement. The forward-looking statements contained herein are made as at the date hereof and the Company does not undertake any obligation to update publicly or revise any such forward-looking statements or any forward-looking statements contained in any other documents whether as a result of new information, future events or otherwise, except as required under applicable security law. This entry was posted in Junior Mining on February 25, 2019 by admin. In the US of 1950s, Alexandria Ocasio-Cortez would have been seen as a stand-up comedian. She is, unfortunately, a rising political star. As time has passed, I have come to see Trump as a real leader. Moreover, he has made me seriously think about what makes someone intellectually superior. Perhaps those who operate out of instincts based on experience are better than those who have reached their conclusions using detailed reasoning, with the former displaying a more complex understanding of life. Last week, Cory Fleck and I discussed about several companies. The talk is linked here. Keep track of Cory’s fabulous website for a lot information on mining and commodities. Finally, next week at PDAC I will be speaking on why East Asia is the future of humanity. This entry was posted in Junior Mining on February 24, 2019 by admin. 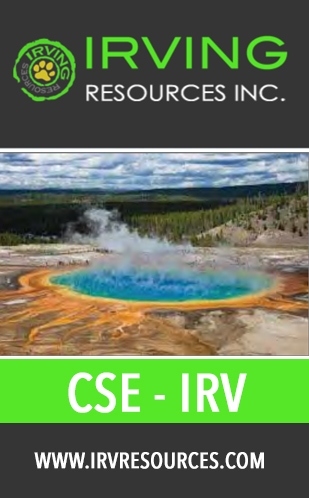 Rover Metals (TSXV: $ROVR) (OTCQB: $ROVMF) will be in Toronto fromFebruary 26th to March 6th and available for meetings with existing shareholders and new investors. Please contact me to set-up a one-on-one meeting to discuss the exploration work planned for the high-grade gold ‘iron formation’ Cabin Lake Group Project in the NWT, of Canada. Rover Metals will have a booth (#2951) from March 3rd – March 6th on thePDAC trade show floor. Please come by and talk to myself, Keith Minty, and/or Raul Sanabria. 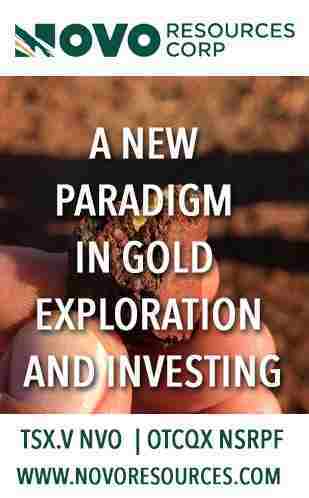 I would also like to invite you to visit the 321 Gold website to read upcoming featured articles on Rover Metals. This entry was posted in Junior Mining on February 22, 2019 by admin. 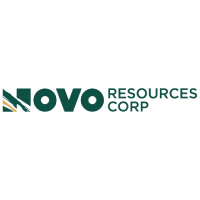 VANCOUVER, British Columbia, Feb. 22, 2019 (GLOBE NEWSWIRE) — Nevada Copper Corp. (NCU.TO) (“Nevada Copper” or the “Company’’) is pleased to confirm that its Pumpkin Hollow underground copper project (the “Underground Project”) remains on target to commence production in Q4 2019 and wishes to provide an update on recent operations progress, financing discussions and exploration activity. Underground Works – consisting of the production shaft and shaft stations (east main shaft), the ventilation shaft (east north ventilation shaft) and lateral development. Surface Works – consisting of processing plant, dry stack storage and all other surface facilities. The previously announced new technical report, including the open pit project pre-feasibility study, is well progressed with targeted completion by the end of Q1 2019. 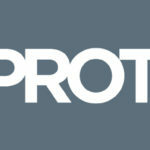 The Company continues to apply its philosophy of focusing on capital efficiency and IRR-maximizing staged development. Regional survey work has led to new prospects being identified and the Company has subsequently staked approximately 5700 acres of unpatented claims, expanding the Pumpkin Hollow property by 32% to the east. The staked claims appear to have good porphyry-style alteration and copper mineralization at surface. 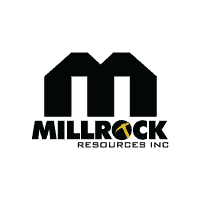 The Company is currently mapping and sampling the newly-acquired claims area, in addition to following-up on additional areas of high-grade surface skarn mineralization on its property. As part of its ongoing commitment to community engagement the Company has recently prepared an updated Environmental and Community Assessment Summary which provides information on the studies that have been performed and the permits and authorizations in place to protect the environment and address any community-related issues. This report is available on the website at www.nevadacopper.com under the Community heading. The Company is continuing discussions with potential export credit agency-backed project finance lenders with the objective to further optimize its balance sheet for the long-term. Such discussions may provide the opportunity to substantially reduce the cost of the Company’s debt service and attract strong finance partners for potential future open pit development. Discussions are also ongoing relating to associated agreements to complement such a project finance facility, including a working capital facility, and should it be required or preferable, other financing, such as a standby/overrun facility, as well as offtake arrangements. 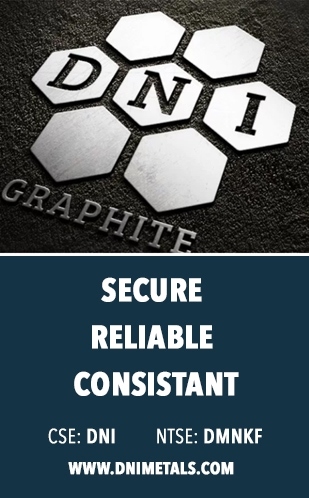 The information and data in this news release was reviewed by David Swisher, P. E., VP of Operations for Nevada Copper, who is a non-independent Qualified Person within the meaning of NI 43-101. Nevada Copper’s (NCU.TO) Pumpkin Hollow project is the only major, shovel-ready and fully-permitted copper project in North America that is currently under construction. Located in Nevada, USA, Pumpkin Hollow has substantial reserves and resources including copper, gold and silver. Its two fully-permitted projects include: the high-grade Pumpkin Hollow underground project which is in construction with a view to commencement of copper production in Q4, 2019; and the Pumpkin Hollow open pit project, a large-scale copper deposit. This entry was posted in Base Metals, Energy, Junior Mining on February 22, 2019 by admin. 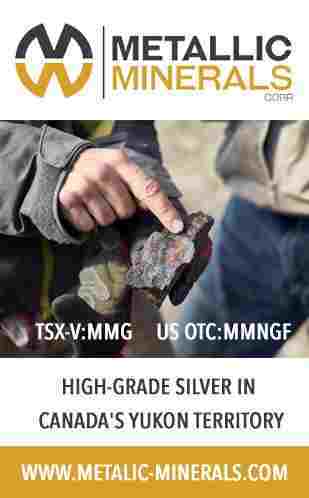 Vancouver, British Columbia–(Newsfile Corp. – February 21, 2019) – Miramont Resources Corp. (CSE: MONT) (OTCQB: MRRMF) (FRA: 6MR) (“Miramont” or the “Company”) announces that it has granted stock options to acquire up to 1,145,000 common shares of the Company, 900,000 of which were granted to certain directors and officers of the Company. Each of the stock options is exercisable for a five year term expiring on February 21, 2024 at a price of $0.415 per common share. On February 20, 2019, the last day that the Company’s common shares traded prior to the granting of the stock options, the closing trading price of the common shares on the Canadian Securities Exchange was $0.415. The options are subject to vesting provisions, with one-third vesting on the date of grant, an additional one-third on the first anniversary of the date of grant and the remaining one-third on the second anniversary thereof. The stock options are non-transferable. Any common shares issued pursuant to the exercise of the stock options will be subject to a four month hold period expiring on June 22, 2019. This entry was posted in Base Metals, Junior Mining on February 21, 2019 by admin. 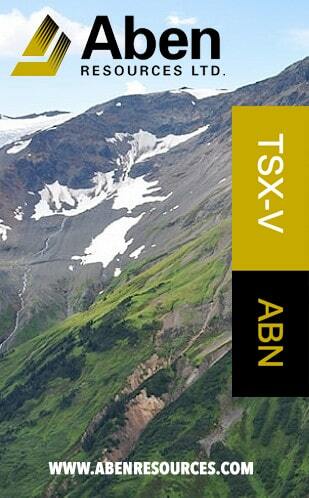 VANCOUVER, British Columbia, Feb. 21, 2019 (GLOBE NEWSWIRE) — Group Ten Metals Inc. (TSX.V: PGE; US OTC: PGEZF; FSE: 5D32) (the “Company” or “Group Ten”) announces results from the Chrome Mountain and East Boulder target areas on the west side of the Stillwater West Project in Montana, USA. This is the second in a series of planned news releases to report results of 2018 exploration programs, on-going historical data compilation, and modeling work at the Company’s flagship PGE-Ni-Cu project adjacent to Sibanye-Stillwater’s high-grade PGE mines in the Stillwater Igneous Complex. With more than 41 million ounces of past production and current M&I resources, plus another 49 million ounces of inferred resources at over 16 g/t palladium and platinum, the Stillwater Complex is recognized as one of the top regions in the world for PGE-Ni-Cu mineralization1,2. As shown in Figure 1, the Chrome Mountain target area is one of eight major bulk tonnage target areas identified by Group Ten Metals across the Ultramafic and Basal Series of the Stillwater Complex. These target areas are highlighted by strong, multi-kilometer electro-magnetic conductive signatures that are characteristic of large bodies of interconnected to strongly disseminated sulphides. These conductive geophysical targets have overlapping highly elevated platinum, palladium, gold, nickel, copper, and chromium values in soils and rock sampling. The limited drilling completed to date on these large geophysical and geochemical targets confirms the presence of corresponding PGE-Ni-Cu mineralization within the 31 holes drilled across the broad Chrome Mountain target area. In addition, the Company has obtained most of the core samples drilled on the property since 2001 for re-logging and sampling as part of the ongoing modeling work, which has allowed the Group Ten team to identify and confirm the potential for Platreef-style deposits in the Stillwater Complex. The Chrome Mountain target area covers an area of approximately 2.9 km by 2.3 km that includes bulk tonnage “Platreef-style” PGE-Ni-Cu targets within the Hybrid Zone (the Discovery, Dunite Ridge, Bald Hills, and Tarantula Targets), as well as potential bulk tonnage PGE-enriched Ni and Cu sulphide mineralization targets within the basal portion of the complex. Potential also exists for higher-grade PGE “reef-type” targets. Comprehensive soil geochemical data has been collected across Chrome Mountain with high levels of PGE, Ni, Cu and Cr in soils shown across kilometer-scale areas coincident with high level electro-magnetic conductors shown in geophysical survey results (see Figures 2, 3 and 4). The Hybrid Zone is characterized by broad intervals of highly anomalous PGE levels associated with chromite and nickel and copper sulfides with complex pegmatoidal and magmatic breccia textures in the Ultramafic Series lithologies. The complexly textured host rocks, together with broadly disseminated chromite and sulphide, are geologically similar to the Platreef setting in South Africa’s Bushveld Complex. Table 1 presents highlight intercepts from ten holes drilled in the Discovery target where nine separate intercepts exceeded 100 meters thickness with continuous highly elevated PGE, Ni, Cu and Co mineralization, starting at surface, including 118 m at 1.73 g/t TotPtEq (0.36 Pt, 0.56 Pd, and 0.09 Au for 1.0 g/t 3E along with 0.12% Ni, 0.03% Cu and 0.01% Co for 0.17% NiEq). In addition, six holes returned composite mineralization of over 200 meters in thickness that occurs over a strike length of approximately 600 meters which remains open in all directions and occurs within a broader one kilometer wide area of highly anomalous metals in soils. These holes were targeted on highly elevated platinum and palladium values in soils that characterize the entire Hybrid Zone (see Figure 3). Along with the untested additional soil targets and geophysical conductors, these drill results demonstrate the potential for significant bulk tonnage mineralization at the Chrome Mountain target area. Several intrusive dunite targets have been identified in the core of the Hybrid Zone (see cross section CM-6 in Figure 7). Work at Chrome Mountain in 2018 led to the discovery of the Dunite Ridge and Bald Hill targets where mapping of olivine chromite-rich intrusive returned chip samples of up to 16.0 g/t 3E (as 8.72 g/t Pt, 7.25 g/t Pd, and 0.03 g/t Au) at Dunite Ridge. A second sample at Dunite Ridge returned 7.45 g/t 3E as 2.32 g/t Pt, 5.10 g/t Pd, and 0.02 g/t Au (see Table 2). These samples occur within a highly elevated PGE, Ni and Cu soil anomaly covering at least 750 meters of strike. Intrusive dunites can have spectacular grades in the Bushveld Complex, but have not been systematically explored for in the Stillwater Complex. The intrusive dunites identified at the Chrome Mountain target area are one of several occurrences across the overall Stillwater West Project. Dunite Ridge and Bald Hills are priority targets for follow-up work in 2019. Intercepts with grade thickness values over 25 gram-meter TotPtEq are presented above. Total Platinum Equivalent (TotPtEq g/t) and Total Nickel Equivalent calculations reflect total gross metal content using metals prices as follows (all USD): $6.00/lb nickel (Ni), $3.00/lb copper (Cu), $20.00/lb cobalt (Co), $1,000/oz platinum (Pt), $1,000/oz palladium (Pd) and $1,250/oz gold (Au). Values have not been adjusted to reflect metallurgical recoveries. 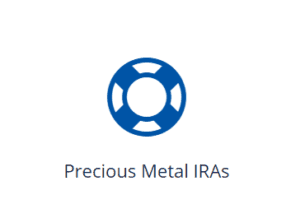 Total metal equivalent values include both base and precious metals, where available. Results labelled ‘n/a’ were not assayed for that metal. Total platinum equivalent grade thickness was determined by multiplying the thickness (in meters) by the Total Platinum Equivalent grade (in grams/tonne) to provide gram-meter values (g-m) as shown. All holes were conducted by Group Ten’s QP and are not considered historic. In the eastern area of the Hybrid Zone, work in 2018 identified the Tarantula Target, where highly anomalous PGE mineralization occurs in the Ultramafic Series. Host rocks are pegmatoidal bronzitite; disseminated chromite, sulphide and magmatic breccia textures have been described over an approximate strike length of at least 500 meters. Table 2 presents select rock sample results from reconnaissance prospecting and geological mapping programs at the Chrome Mountain and East Boulder target areas in 2018 which confirm the presence of significant platinum, palladium, nickel, copper and cobalt mineralization with grades up to 3.56 g/t Pd, 0.618% Ni, and 0.049% Co outside of the Dunite Ridge Target discussed above (see Table 2). High chromium levels were also noted with 14 samples returning grades of 10 to 26.8% Cr. In addition, test work indicates a consistent ratio of rhodium content relative to platinum values. Neither chromium nor rhodium values have been included in the calculation of metal equivalents in the tables above and below. Figures 6 and 7 present cross sections representing the Company’s current understanding of the Hybrid Zone and surrounding stratigraphy. The Hybrid Zone is open in all directions, and is a priority target for follow-up in 2019. The Company is also targeting potential bulk-tonnage sulphide mineralization in the Basal Series of the complex at Chrome Mountain where mineralization may be associated with interaction between the layered basal magmatic system and the basement country rocks. Interaction and assimilation of basement country rocks is an important component of the Platreef deposits in the Bushveld Complex, where the country rocks may be in place as the footwall or occur as large rafts within the layered magmatic stratigraphy. 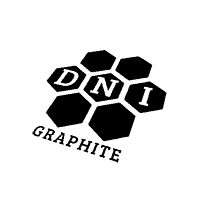 Kilometer-scale geophysical, geochemical and geological signatures present compelling bulk-tonnage targets in this type of setting for PGE-enriched Ni/Cu sulfides in the lower Stillwater Complex stratigraphy. The potential for deposits of this type in the Chrome Mountain area has been confirmed by reconnaissance rock chip samples and geological mapping work by Group Ten in 2018, as well as in limited historic drilling, which targeted nickel and copper sulphides in the Basal and lowest Ultramafic Series. These drill holes were relatively shallow, and were only selectively assayed where base metal sulphide levels were high. A few of these high-sulphide intercepts were assayed for PGEs confirming that the nickel and copper sulphides in these areas are highly enriched in PGEs. Notably, this historic drill sampling did not assay areas enriched in chromite, which typically exhibit higher-grade PGE mineralization. Data from the 355 series drill holes by AMAX in the 1960s and 1970s, shown on cross sections in Figures 6 and 7, confirm the presence of net-textured to massive sulphide hosted mineralization proximal to the strongest electro-magnetic conductive signatures. 2018 rock sample results from the historic Lindgren Target in the basal series at Chrome Mountain are particularly compelling as they confirm the presence of significant PGE, Ni and Cu mineralization with results of 0.315% Ni, 0.976% Cu, and 0.030% Co (0.94% Ni Eq) in sample 337365 and 0.342% Ni, 0.054% Cu and 0.034% Co (0.56% Ni Eq) in sample 337368 (see Table 2). Basal zone sulphide targets will be a priority for follow-up work in 2019 at Chrome Mountain. As shown in Figure 2, the East Boulder target area centers on a highly conductive geophysical anomaly with coincident highly elevated levels of PGE, Ni, Cu and Cr metals in soils (Figures 3 and 4) covering an area approximately 2.6 km x 1.9 km. The East Boulder target area has less outcrop exposure than the adjacent Chrome Mountain target area (Figure 5) and, as a result, remains much less explored despite historic placer mining in the area. Two drill holes from 2008 confirm the presence of Pt, Pd and Au mineralization adjacent to the EM conductive high anomaly but were not tested for base metals. Work in 2018 included surface mapping and limited sampling with results up to 3.4 g/t 3E, 0.21% Ni, and 0.15% Cu (4.84 g/t TotPtEq) (see Table 2) providing support that similar mineralized stratigraphic horizons continue into the East Boulder target area. Future work at the East Boulder target area will include detailed mapping and rock sampling to develop and refine drill targets in the area of the electro-magnetic conductors and coincident soil anomalies. 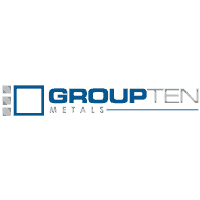 Group Ten announces that it has amended the terms of the agreement for the Catalyst Project within the Company’s Kluane PGE-Ni-Cu Project in Canada’s Yukon Territory, as announced on August 16, 2017. The amendment allows the Company to meet the $10,000 cash payment requirement by the issuance of 200,000 common shares, and is subject to regulatory approval. Group Ten will be exhibiting in the Investor’s Exchange at booth #3018 at the PDAC convention in March in Toronto, among other upcoming shows. The Company looks forward to releasing further results from the adjacent target areas in the coming weeks. 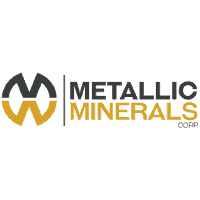 The Metallic Group is a collaboration of leading precious and base metals exploration companies, with a portfolio of large, brownfields assets in established mining districts adjacent to some of the industry’s highest-grade producers of platinum & palladium, silver and copper. 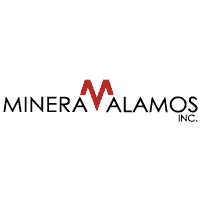 Member companies include Group Ten Metals (PGE.V) in the Stillwater PGM-Ni-Cu district of Montana, Metallic Minerals (MMG.V) in the Yukon’s Keno Hill silver district, and Granite Creek Copper (GCX.V) in the Yukon’s Carmacks copper district. 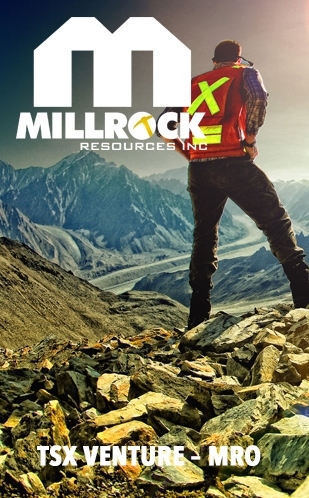 The founders and team members of the Metallic Group include highly successful explorationists formerly with some of the industry’s leading explorer/developers and major producers and are undertaking a systematic approach to exploration using new models and technologies to facilitate discoveries in these proven historic mining districts. The Metallic Group is headquartered in Vancouver, BC, Canada and its member companies are listed on the Toronto Venture, US OTC, and Frankfurt stock exchanges. 2018 rock chip samples were analyzed by Bureau Veritas Mineral Laboratories in Vancouver, B.C. Samples were crushed and split, and a 250 g split pulverized with 85% passing 200 mesh. Gold, platinum, and palladium were analyzed by fire assay (FA350) with ICP finish. Selected major and trace elements were analyzed by peroxide fusion with ICP-EB finish to insure complete dissolution of resistate minerals. Following industry QA/QC standards, blanks, duplicate samples, and certified standards were also assayed. 2007 drilling was conducted by Group Ten’s QP while working for Beartooth Platinum. Pre-2001 drill results are considered historic and have not been independently verified by Group Ten. Mr. Mike Ostenson, P.Geo., is the qualified person for the purposes of National Instrument 43-101, and he has reviewed and approved the technical disclosure contained in this news release. This entry was posted in Junior Mining, Precious Metals on February 21, 2019 by admin. This entry was posted in Base Metals, Junior Mining, Precious Metals on February 21, 2019 by admin.